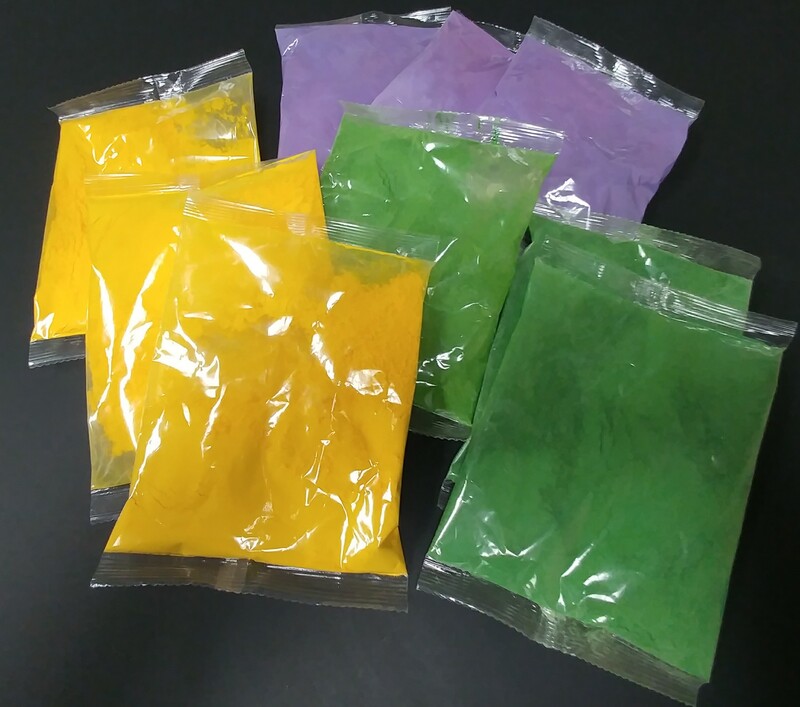 Celebrate the colors of Mardi Gras with PurColour color powder. There are three colors traditionally identified with Mardi Gras. Each of the colors stands for a personal trait or cultural value. Green represents faith, purple represents justice and gold represents power. Our individual 75-gram bags make an excellent choice for parade throws and party gifts. The throwing of trinkets to the Mardi Gras crowds was started in the early 1870s by the Twelfth Night Revelers, and is a time-honored expectation for young and old alike. We offer traditional Mardi Gras colors as well as UV reactive colors. You can mix and match any quantity and color order. Great for party favors! Mardi Gras is February 13. Start planning your celebration today.